MyTrails is always looking for a GPS signal – AKA how can I stop MyTrails? MyTrails can record your track whether it’s visible or running in the background. Even if you’re not recording a track, MyTrails may use the GPS if you have the proximity notifications option turned on. When you want to stop using MyTrails, you should quit it like any other application (including Google Maps), by using the back key or button. When you do this, MyTrails asks you whether you want to keep recording the track in the background. Answer ‘no’ to stop MyTrails entirely. Note that MyTrails doesn’t ask about quitting if you have already paused track recording. You can also use the Pause button in the recording notification to stop recording. If you find this confusing, you can enable a Quit option to the navigation menu in MyTrails > Preferences > Other. If you have used MyTrails beta, it may be set to use “enhanced GPS”, which introduces an issue. 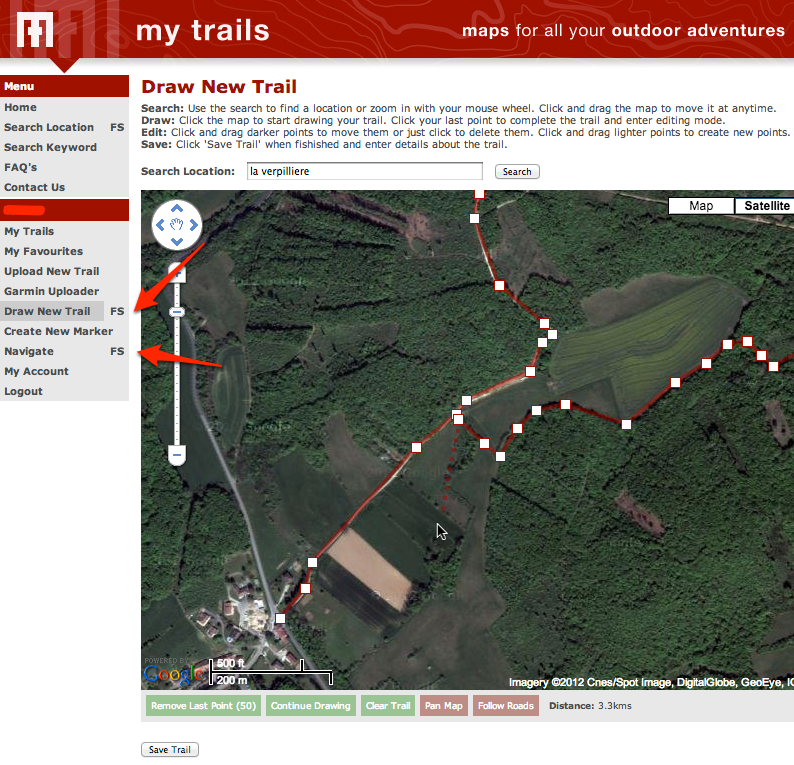 Please check in MyTrails > Preferences > Sensors that enhanced location is turned off. This entry was posted in FAQ, Track and sensors on 5 August 2014 by frogsparks. MyTrails can use your phone’s built-in magnetometer and accelerometer to simulate a compass. However, unlike a physical compass, phones need to be periodically calibrated to provide an accurate reading of the magnetic north bearing. Keep in mind that even after calibration, the compass is sensitive to interference: don’t place it next to ferrous metals. Unlike a physical compass, MyTrails can automatically correct the magnetic declination to provide a reading of the geographic rather than magnetic north. If the compass seems to rotate in the opposite direction of your real movement when you, please try using the toggle reverse compass hidden option. In addition to the compass, MyTrails can use the GPS-derived heading, with the following caveats: it’s only active above 1m/s (too imprecise at slower speeds), and the GPS heading indicates the direction of your travel, not the direction the phone’s screen is pointing. Another method, described by Google. This entry was posted in FAQ, Track and sensors on 4 August 2014 by frogsparks. 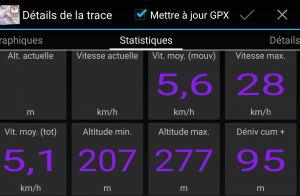 MyTrails uses built-in Android methods to compute distances (and speeds). Unfortunately a small number of phones use a version of Android where a critical element of the platform (the Dalvik JIT compiler) suffers from a bug that causes these calculations to be severely incorrect. This issue may also cause tracks to be displayed as thick lines across the screen. In MyTrails 2.0 and later, please try to activate the Fallback distance calculation preference in Visual preferences. In MyTrails 1.3.23 and later, you can work around this problem by using the toggle alternate distance hidden option. This entry was posted in FAQ, Track and sensors on 31 July 2013 by frogsparks. This article has been superseded by this new and expanded version. GPS signal is tricky: it’s affected by the quality of the phone (the Samsung Galaxy S had notoriously bad GPS reception) and by the environment it’s in (indoors, urban canyons or dense forest reduce the quality of the GPS signal). However, all other parameters being equal, if your GPS suddenly seems much worse (the GPS arrow no longer appears even if you’re moving faster than 5km/h, MyTrails no longer reports the speed, or the GPS signal quality meter remains red), you may need to reset your GPS. MyTrails doesn’t do this for you, but you can install the GPS Test app, go into its settings and tap the Clear AGPS, then Update AGPS buttons. 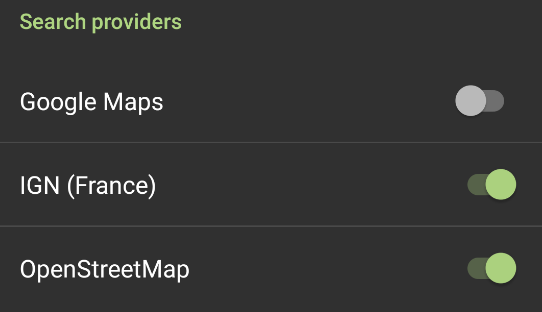 One some devices, setting the Temporal resolution to a value greater than 1s (in MyTrails > Preferences > Behavior) causes the device to stop updating the GPS. This is a bug on your device, and you can work around it by setting the temporal resolution back to its default of 1s. Some devices disable the GPS when the battery is low. Some Kyocera phones for example, disable it below 20% battery, without any visible indications. This may be configurable in the phone’s battery saving settings. This entry was posted in FAQ, Track and sensors on 3 April 2013 by frogsparks.